Group and individual bookings - please let us know the size of your party so we can seat you together. Tickets available from Reception or by calling 01455 553307. Please select your menu choice when you buy your ticket. See menu below. *Show lasts approximately 3 ½ hours. Drinks not included in ticket price, please order from your waiter. 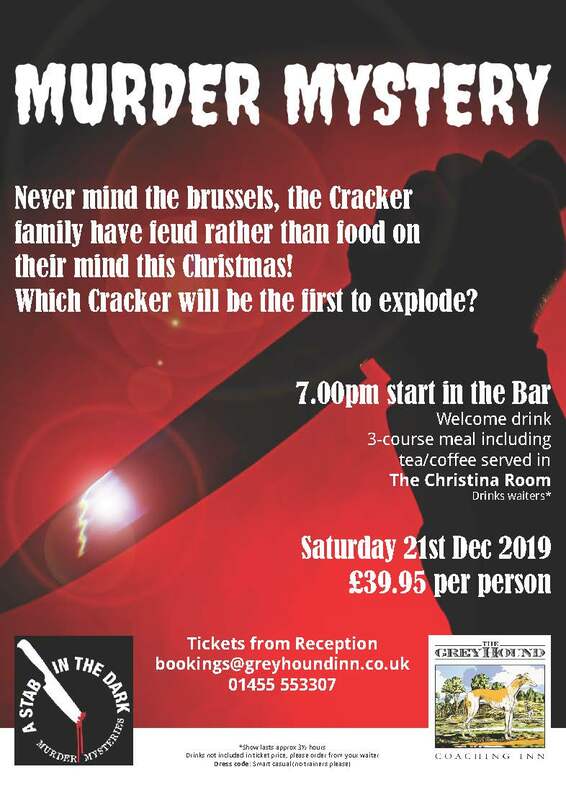 Never mind the Brussels, the Cracker family have feud rather than food on their mind this Christmas! Which Cracker will be the first to explode? Please advise any allergies or intolerances at the time of booking so we can offer alternatives.